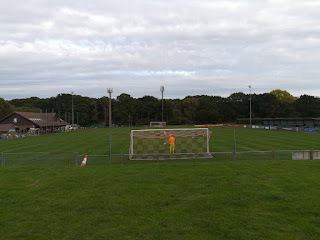 Whether or not it’s because in my new guise as a non-league groundhopper I’ve become more aware of it I don’t know, but this year’s Non-League Day certainly seems to have been better publicised than it ever has been before. 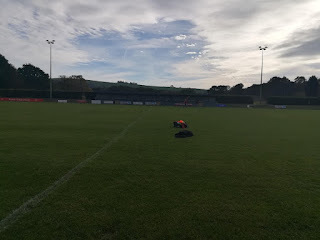 There’s been ample column inches set aside for the day in various national newspapers and football magazines; airtime has been given over to it on national radio; there has been numerous mentions on television; while I can barely scroll through my twitter timeline without seeing various Non-League Day-related hashtags. With so much publicity for the day, and many clubs doing all they could to entice extra punters through the turnstiles, choosing where to go and watch a game this week was a harder choice than normal. Somewhat bizarrely, then, I ultimately chose to go and watch a game which didn’t offer any Non-League Day admission incentives. In fact, not once on Hassocks FC’s twitter timeline did I even notice a single mention of the fact it was non-league day. 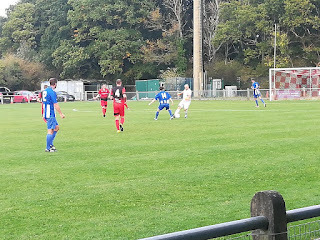 So what enticed me to the Beacon for Hassocks’ match against Lingfield in the third round of the Peter Bentley Cup? Partly, as with most of my match choices, logistics played a part. My eldest son was due to be at a Birthday party at the Amex Stadium between 3pm-5pm, and I needed to be able to drop him and wifey off, and then pick them up afterwards. 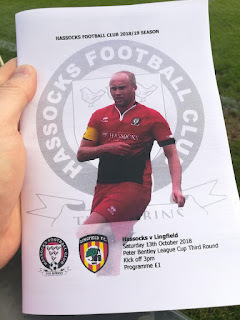 Yet the truth is that, prior to being told this was the case earlier in the week, I already had the game between Hassocks and Lingfield marked down as the one I would attend this week. Why? You can put it down to the innovative way that Hassocks use Twitter to advertise their matches. At the start of October, my attention was caught by the club’s use of a departure board to publicise their match against Crawley Down Gatwick. See what they did there? Then, when earlier this week I saw their latest effort – a specially photoshopped horseracing image with the caption ‘will the Robins be at the races’ – to promote their match with Lingfield, I was sold. I’d be off to the Beacon. What can I say, I’m a sucker for a visual pun! For the first time in a few weeks, I was joined on my latest jaunt by my youngest son. Therefore, the peace and quiet that I have cherished while attending matches for the past few Saturdays was brutally shattered. ‘Does he always talk that match?’ asked a surprisingly amused fellow spectator in the clubhouse during half-time. ‘Yes’, I replied sorrowfully – and a tad exhaustedly. ‘From the moment he wakes up, to the moment he goes to bed.’ I took great solace in the look of pity and understanding the other man gave me. It’s a look I get quite a lot, if I’m being honest. 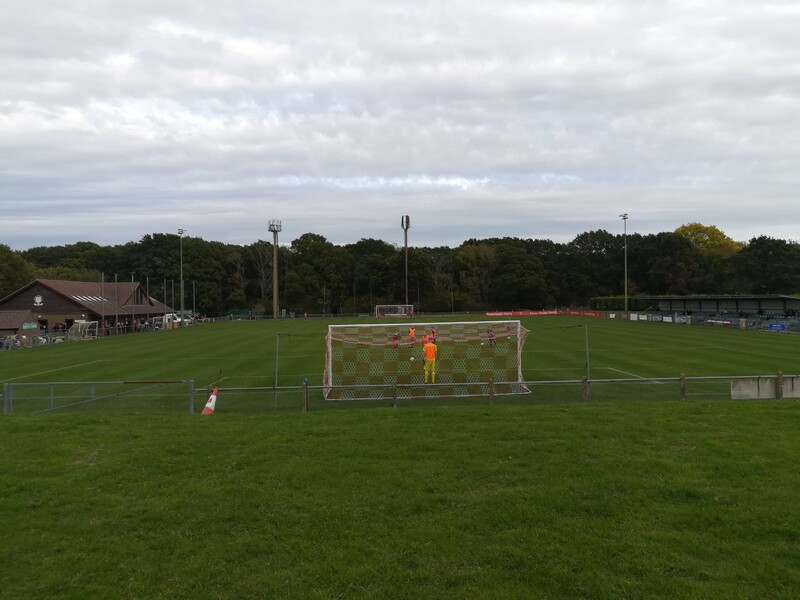 Anyway, while Hassocks may not have been providing any Non-League Day-based concessions on the entry price, they barely need to. With a meagre £6 entrance fee (nothing for the boy) and a decent little paper program at £1, there’s little to complain about. The Beacon is a tidy little ground based just off a fairly busy road. Like my trip to Uckfield back in August, it’s another ground that I must have driven past hundreds of times over the years without even knowing it was there. 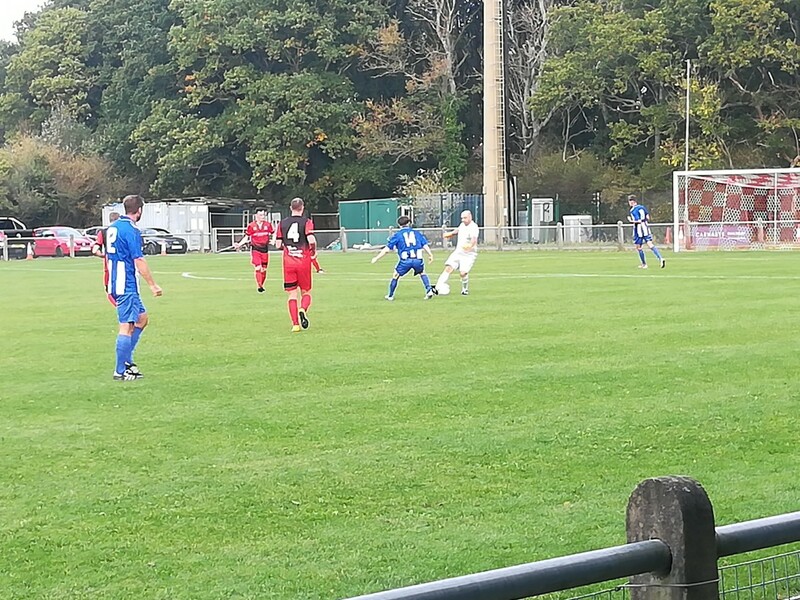 It’s a ground like many others found at this level of football in Sussex. In other words, it’s perfectly pleasant and welcoming. 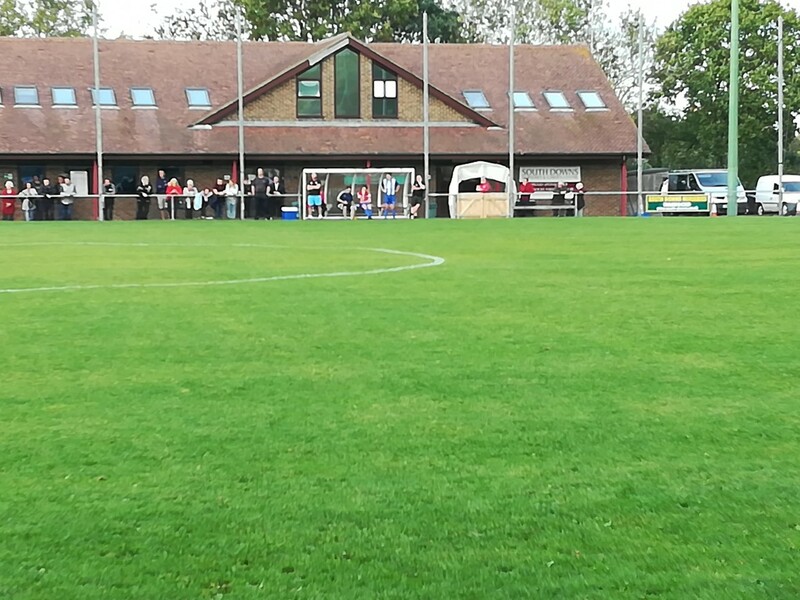 There’s a main seated stand running along one side of the pitch, and a decent-sized clubhouse which offers some sheltered standing space outside should it be required. Much to my youngest’s pleasure, the players also come out onto the pitch through a tunnel. Regular readers of this blog will already know that, for some strange reason, a tunnel for him is a must-have accessory for any ground. He was equally excited by the presence of a children’s playground within the ground itself – yes, really! This is the first time I’ve seen this on my travels, and in my opinion is a really good idea if you’ve got the space and want to promote yourself as a family club. It certainly helped my youngest pass the time before the game started and at half-time, and gave me a brief respite from his constant rambling and incessant questions. Which was nice. The game itself was a far more even affair than the final 3-0 scoreline may suggest. 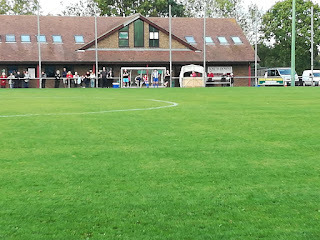 In fact, one of the main reasons for Hassocks ending up on the end of a bit of a tonking (scoreline wise, at least) can probably be attributed to their previous match, during which their first-choice goalkeeper was sent off. With only a 16-year-old on the books as a replacement, the Robins instead turned to their physio, Phil Wickwar – who had been a goalkeeper during his playing days – to take the suspended number one’s place between the sticks. This, of course, was unbeknown to me at the time, but something I discovered throughout the course of the afternoon thanks to some of the friendly people in the crowd. Indeed, the opening two goals, which both arrived in the first-half, came courtesy of goalkeeping errors. First, the impressive Thomas Stead brilliantly controlled a cross-field pass before beating his marker with a decent piece of skill. Yet his shot didn’t match the build up play, and he could only hit a tame effort straight at Wickwar. However, it was on target, and this would prove to be enough. Somehow the ball squirmed through the goalkeeper’s grasp and crossed the line; much to the bemusement of everyone in the ground. 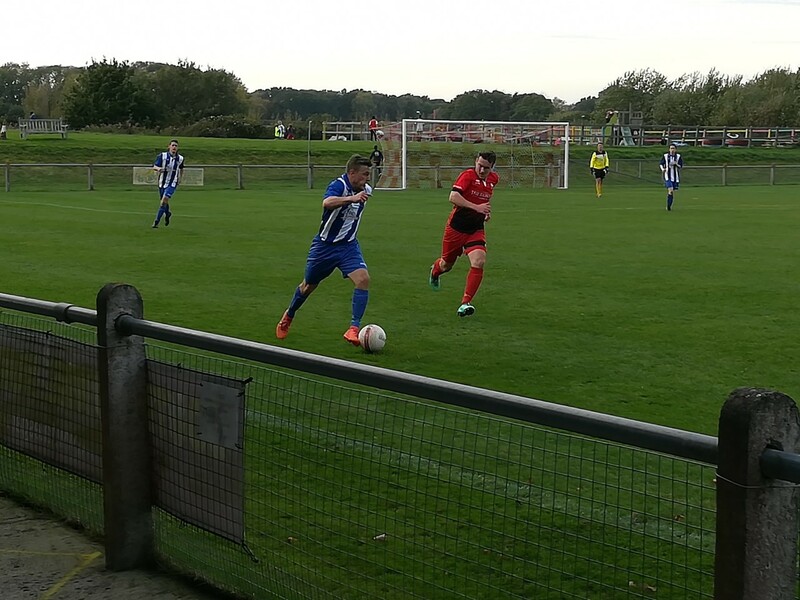 The Robins were almost handed an immediate way back into the game by a goalkeeping error at the opposite end. 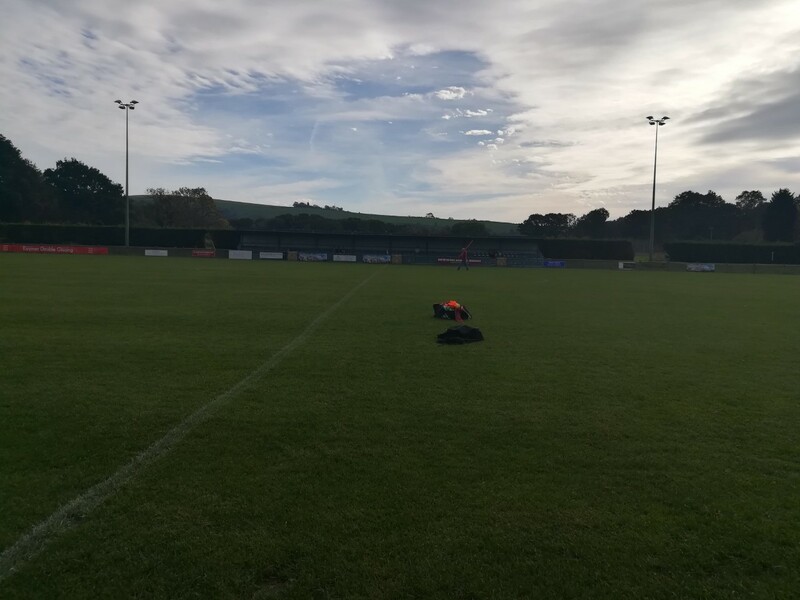 Oliver Moore’s miss-hit pass out landed at the feet of James Littlejohn, but the Hassocks winger seemed to hesitate as he weighed up what to do next, and could only send a tame shot along the floor into the hands of the relived goalkeeper. The visitors then extended their lead on the half-hour mark, when Joel Alexander easily beat Wickwar to a ball well outside the penalty area, then showed good composure to hold off the chasing defenders and finish calmly. The only other major highlight of an even half came from a vocal Hassocks fan. Obviously not agreeing with the referee’s decision to book one of the home players, the supporter protested by shouting ‘he’s hardly dead is he, ref?’ regarding the stricken Lingfield player. If being killed in a tackle is deemed only worthy of a booking by that particular fan, then I’d hate to see what he deems worthy of a red! 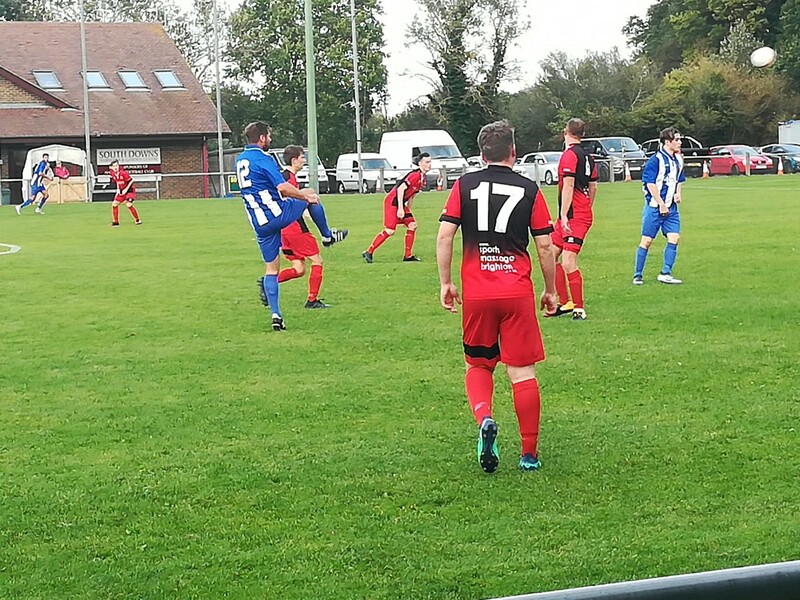 In the second-half, Hassocks missed a few good chances to get themselves back in the game. Phil Johnson twice went closest to reducing the arrears. First he was denied by a good save from Moore, who had for the second time in the afternoon given the ball away from a hurried clearance, only to redeem himself seconds later. Johnson then went close with an instinctive flick header at the near post, which sailed agonisingly wide. With the hosts increasingly throwing men forward, they were always going to be vulnerable to a counter attack. And so it proved. A good through pass set right back Stephen Hodge free down the right wing and his accurate low-cross was tapped in at the far post by substitute Chris Ransome. With 15 minutes still to play the game was practically over as a contest. 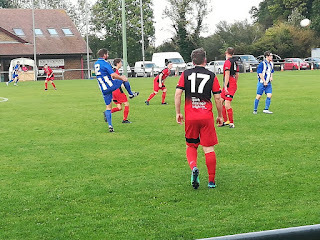 While Hassocks never gave in and continued battling till the end, it was Lingfield who continued to look more threatening on the break, and but for a bit more composure in the final third could have added to their victory margin. And so non-league day has ended for another year. Gone but not forgotten. Certainly not by me anyway. I’ll be back at another game next week – don’t know where yet, we’ll have to see if some canny club catches my eye on twitter. After all, much like puppies, Non-League football isn’t just for Non-League Day. It’s for life.